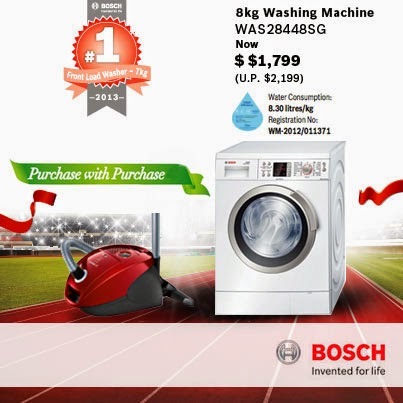 Celebrate with Bosch this GSS! 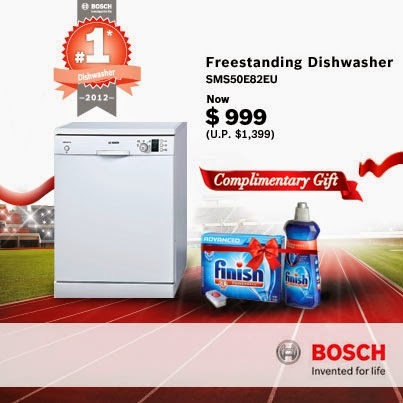 To show appreciation for consumer confidence in choosing Bosch as the preferred brand across several categories of household appliances, Bosch is now offering attractive discounts and gifts with purchase for its best-selling appliances* – the front load washer, dishwasher, vacuum cleaner and kitchen machine! I secretly wished my house is ready by now, so I could buy buy buy appliances. Haha! So get down to your nearest home appliance store if you are looking for some great buys this GSS! *Promotion Period is from now till 27th July 2014. 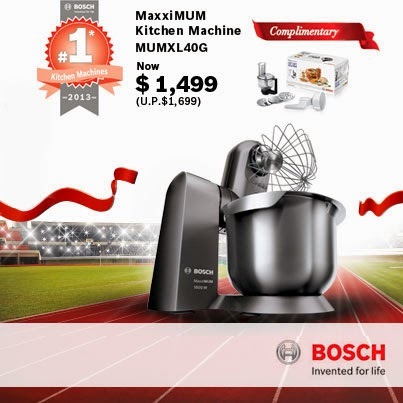 Please check with respective stores for availability 🙂 For more info, read Bosch’s website here. You can also read about the MaxxiMUM Kitchen Machine launch here.